Directed by Nicolas Roeg. 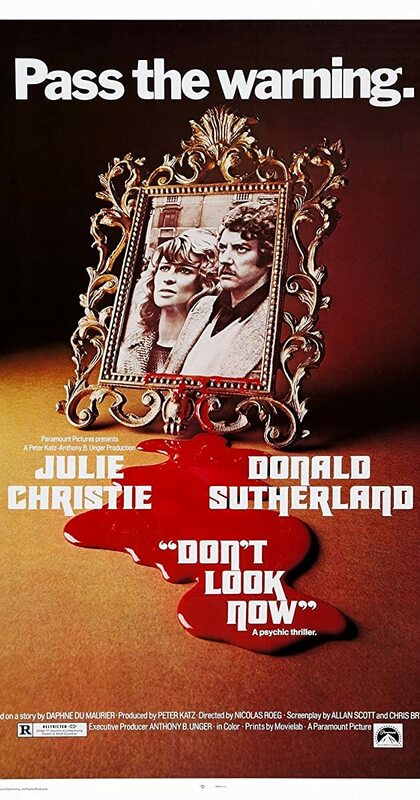 With Julie Christie, Donald Sutherland, Hilary Mason, Clelia Matania. A married couple grieving the recent death of their young daughter are in Venice when they encounter two elderly sisters, one of whom is psychic and brings a warning from beyond.